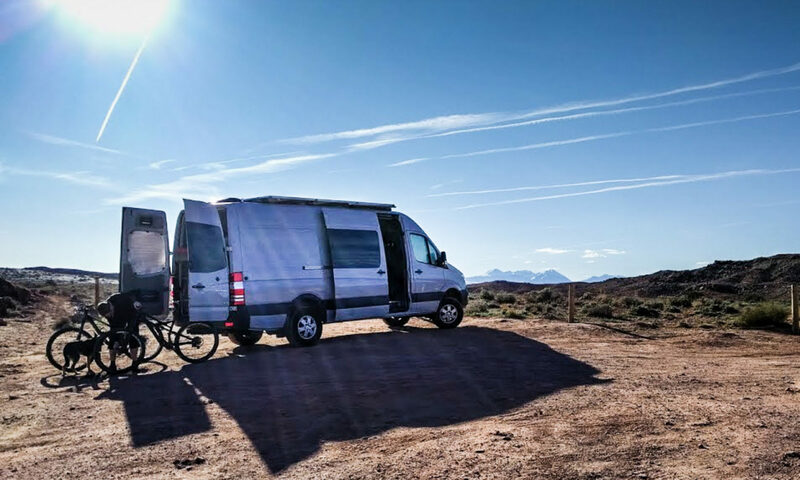 The optional alarm in a Sprinter is OK, but it’s hard to remember to turn off the motion sensor each time you lock the van. If your dog is asleep in the van, it’ll wake up and stretch while you’re away, making you unpopular with everyone around you. The answer’s pretty simple – electrical tape over the motion sensors. The factory alarm is set-and-forget. Once you lock the van with the key fob, the alarm activates. It has vibration sensors, a towing sensor, door opening sensors, and inside the van there are motion sensors too. You can turn off the towing sensor and the motion sensor using buttons on the console above the rear view mirror. But you have to do this each time you leave the vehicle. You also have to do it just a short time before you lock the doors. If, like us, you sometimes leave your dog in the van*, then it’s inevitable that you’ll fail to disarm the motion sensor at some point. The dog’s movement will set off the alarm, which will probably scare the dog, causing it to move around some more. Not a good situation. We decided that since we’re disarming the motion sensors most of the time anyway, it would be better to just have them not work at all. The alarm still protects the van pretty well from break-ins because of the other sensors. The low-tech way we did this was by cutting little squares of electrical tape, and sticking them over the motion sensors. 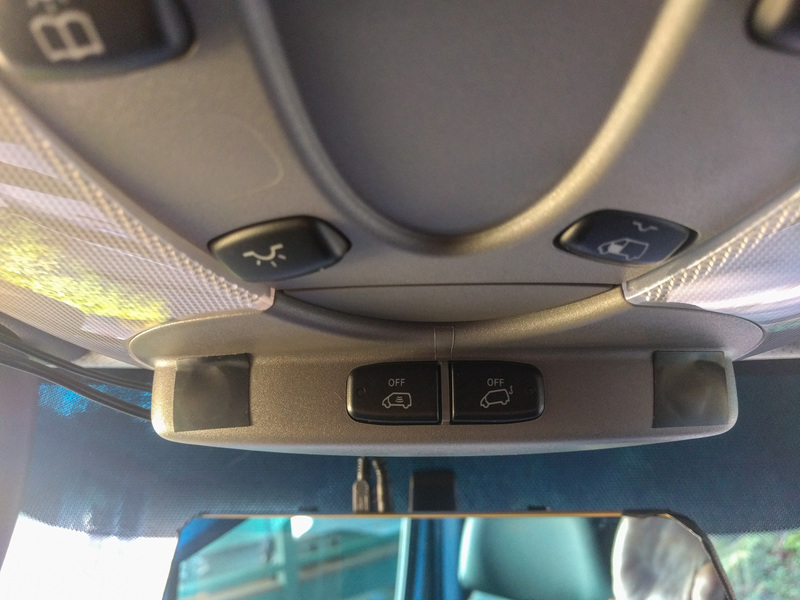 In our 170″ wheelbase van, there are three sets of sensors. One is in the console above the rear view mirror. One is immediately behind the cab area in the headliner, and one is by the rear doors pointing forward. Each sensor panel has either two or three motion sensors in it. They appear to be optical rather than radio frequency. The sensors are ultrasonic, but if they are blocked off with tape, they can’t detect any motion, so they’ll never trigger the alarm. *Before anyone decides to send hate mail about leaving pets in vehicles, this van is better insulated and has better climate control than some houses. We also live and travel in temperate climates.